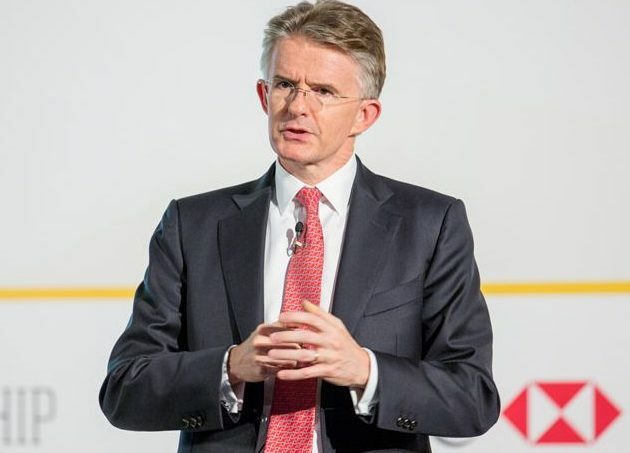 HSBC will invest $15 billion to $17 billion in areas including technology and its core Asian markets of Hong Kong and China between now and 2020 as it moves from a strategy of cost-cutting to growth, new Chief Executive John Flint said on June 11. The announcement is Flint's first public indication to shareholders of the strategy he intends to pursue after years of shrinking its sprawling global network. The bank is targeting a return on tangible equity of “greater than” 11 percent by 2020, Flint said, and will sustain its dividend at current levels. The lender targets a common equity Tier 1 capital ratio above 14 percent throughout the period. “After a period of restructuring, it is now time for HSBC to get back into growth mode," Flint said.